Whatever your event, there’s no better way to get your guests dancing than to kick off the night with some ceilidh. Don’t worry if your guests don’t know the dances, we have a caller. There’s no need to hire a variety of entertainment, Callanish specialise in playing ceilidh and popular music. We play music from all eras and styles. Our extensive set list can be tailored to suit everyone. We do regular setlist updates to keep the set fresh and if your favourite song's not on it, we'll learn it for you. 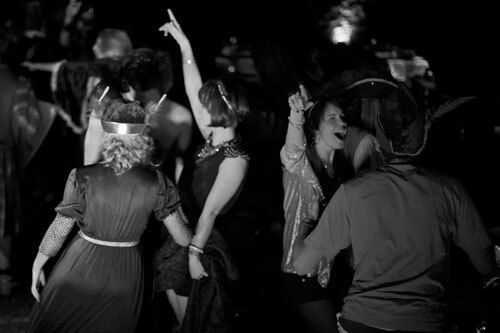 Why not keep the music playing late into the night with our disco or ipod package. After all that studying, now's the time to party! Callanish have entertained at countless university grad balls. We can play a full evening of ceilidh if required, we will even wear kilts. Why not add a solo fiddlers or pipers to enhance the party. You've learnt the dances now perform them with a great live band. We specialise in performing at formal dances. Private or company party - Callanish will give you a great send off. Whether you are celebrating a wedding anniversary or another significant milestone, Callanish will provide the perfect soundtrack. We can do a full evening of ceilidh and Burns songs or mix it up with contemporary covers. Rugby clubs, golf clubs, football clubs, caravan clubs ... we've played for them all. We are proud to have entertained our forces and the emergency services. Christmas, retirement, launches, or any other reason to have a party! A ceilidh and contemporary mix is the best way to see the year out with a bang!